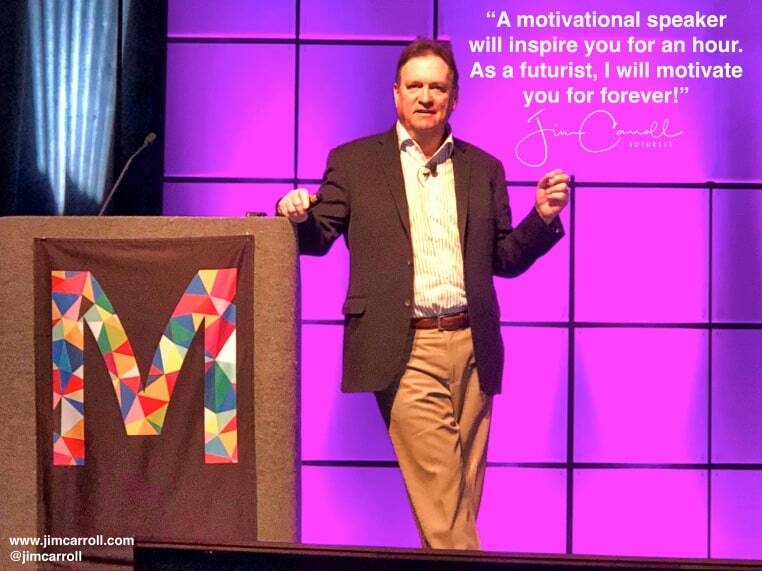 ‘’ This photo is from my keynote in Amelia Island, Florida, for a talk on the future of healthcare, just this Wednesday morning. It was taken by someone on their iPhone 8 – Carrie Nelson – and the picture quality is great! Crowdsourcing! Before I get on stage,I circulate among the front row, find out who has good quality phones, and recruit them in my daily quote mission by asking them to take some photos! I send them a book by way of thanks. This has worked out to be a huge amount of fun! The quote? It summarizes a key observation I have as someone who has spent 25 years on stage. Lots of organizations seek that quick-hit fix of a speaker who will inspire their audience with some great story: and the audience is inspired, brought to tears, cheering with a standing ovation! That’s great and an important message – given the complexities of our world today, people need lots of inspiration. But on the other hand, the message might not last long if the speaker doesn’t have real content. I’ve seen a lot of speakers in my day whose message is a little bit like Chinese food : you are hungry for more in about an hour. On the other hand, my talk with terrify you, scare you, and leave you stunned, since I’m dealing with real trends and issues that come with something we will all be impacted by: the future. And if you are really listening, my talk will motivate you to take the actions to pursue the opportunities that the future presents, rather than worrying about the challenges it will throw in your way!